You are here: Home » Craft Beer a Hit at Ball Parks – Where’s Roger? Reports circulating today suggest that craft beer has become a big hit at U.S. ballparks, including Pittsburg’s PNC park and Kansas City’s Kauffman Stadium. 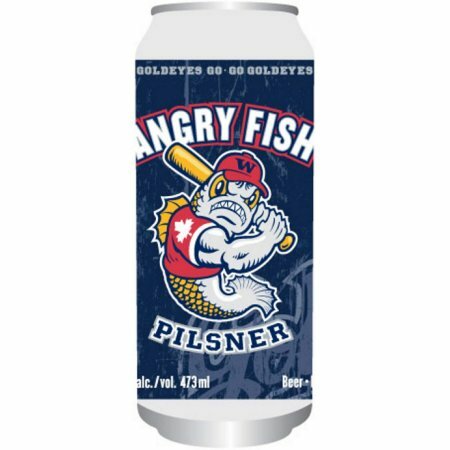 This follows the recent announcement by Fort Gary Brewing of Angry Fish Pilsner, giving even the Winnipeg Goldeyes of the American Association of Independent Professional Baseball their own craft beer for sale at games. This is a minor minor league putting the Jays to shame. So, where is Rogers on this for Blue Jays games? Well, unfortunately it appears that they are still part of that Toronto contingent who feels that importing a beer from Nova Scotia makes it premium (see Alexander Keith’s booths). Now I’ll admit, I haven’t ventured beyond the standard beer stations, so maybe there are better options at some hidden pub I haven’t stumbled upon in the concrete jungle, but I won’t let that count anyway. I want craft beer from the beer guy. And hey, maybe something is in the works and I’m going to look dumb in a week. However, I suspect the liquor deals that Rogers has worked out with the likes of Budweiser aren’t too open to the introduction of Craft Beer. They want us to keep drinking the light stuff that goes down so easy you can be through 6 before you know it. 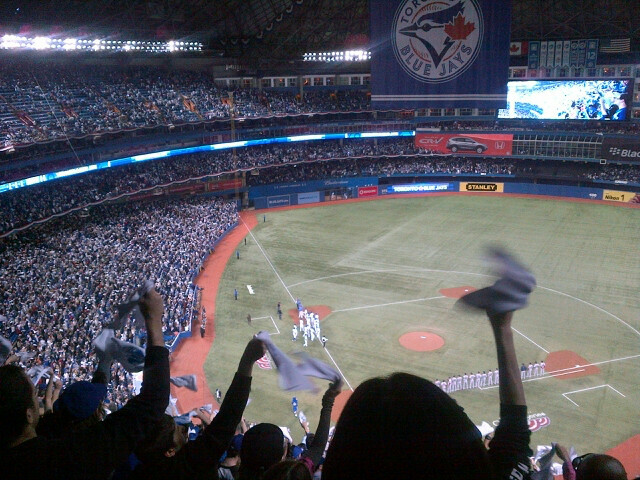 Nonetheless, from an economic point of view, the introduction of craft beer makes sense for Rogers and the Blue Jays. Toronto has great and growing craft beer culture withmany canned options ready to go… and Rogers could probably get away with selling the stuff for $14 a can. As I’ve noted before, the introduction of Steamwhistle at Marlies games has been great. Ah, but of course, Toronto sports fans are always left envying others.